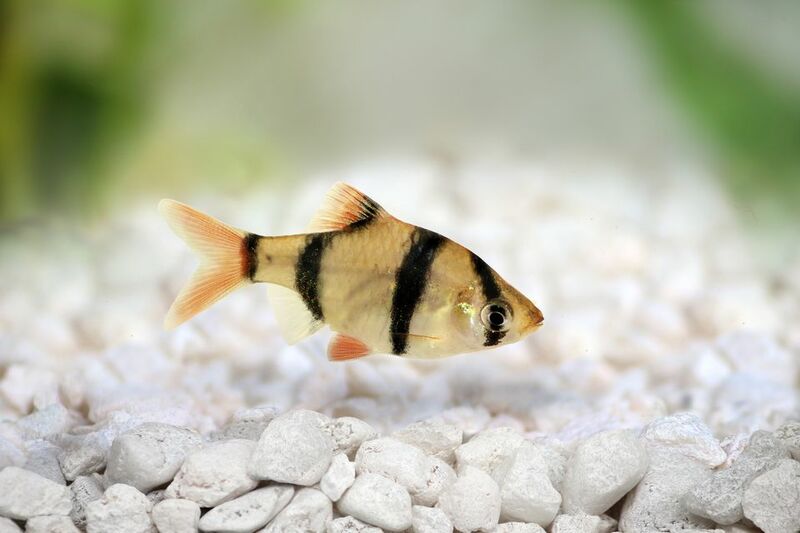 Below is a list of common aquarium fish names beginning with the letter T and their scientific names. Tail-Light Tetra - Bryconops melanurus: The name of this fish is derived from its body since it seems to reflect light, from the head and tail. The headlight is located behind the eye and the other is at the base of the caudal fin. Tail-Spot Corydoras - Corydoras caudimaculatus: This is a very peaceful fish that does well in a community fish. While it won't bother its tankmates, it does tend to "bumble" around the aquarium and might annoy other fish that dwell on the bottom. Talking Catfish - Amblydoras hancocki: Like its name, the talking catfish makes an audible noise like a croak, particularly when caught. They can be amusing and charming, but because they are nocturnal, they'll rarely be seen. Tanganyika Lampeye - Lamprichthys tanganicanus: A dominant male of this species, which sports elaborate fins, will establish claim a large territory among rocks. Tanganyika Catfish - Lophiobagrus cyclurus: A small catfish from Lake Tanganyika in Africa, it's also known as the multipunk, cuckoo catfish or cuckoo squeakers. Tapah Catfish - Wallago leerii: Legend has it that this fed on human corpses for centuries! This is a dangerous fish and it's known to bite the hand that feeds it. It once reached more than six feet in length, though now the breed is smaller. Tarpon - Megalops cyprinoldes: A tarpon has an organ like a primitive lung -- a swim bladder that can fill with air.